Fresh from the overwhelming Pumpkin Pie/ Pumpkin Spice trend of late 2013 (click here to spark your memory), we've got a new flavor taking over the candy aisle, one I can get behind with a lot more enthusiasm: Cake Madness. Birthday cake, wedding cake, carrot cake, red velvet cake flavors and on and on. And somehow the artificial blend of chemicals that create the illusion of cake are able to represent the real stuff with incredible accuracy. At times with vaguely alarming accuracy. I've been anticipating the new Birthday Cake m&m's with great enthusiasm and they don't disappoint. Like an everlasting gobstopper, they begin as one flavor and then transform into another. Magic! 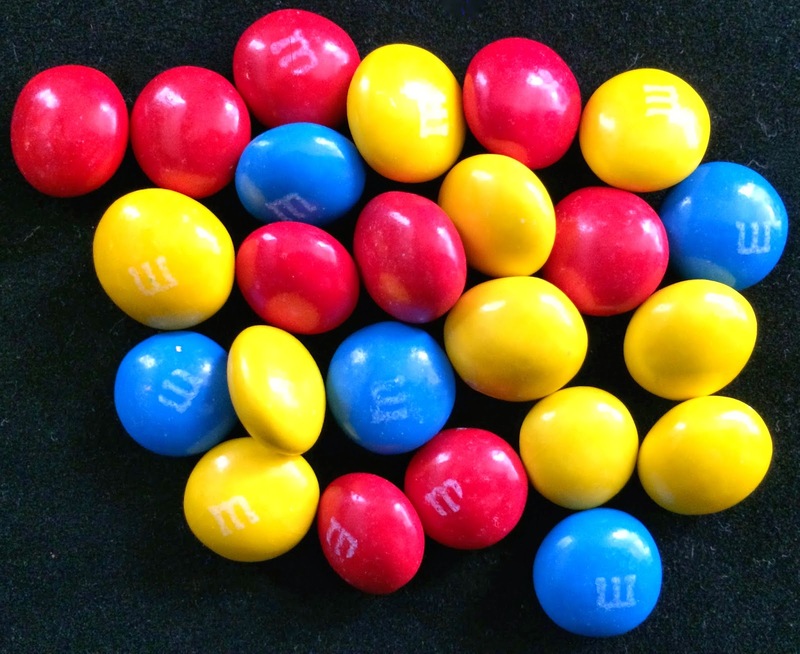 You bite into one of these m&m's (a bit larger than the classic) and it tastes like an original perfect milk chocolate m&m. However, as you're chewing and the chocolate begins to melt, the essence of vanilla and butter and chocolate frosting emerge and linger well after the m&m has disappeared. They truly taste like chocolate cake with vanilla frosting. Amazing. I love them and hope they stick around for a good while.